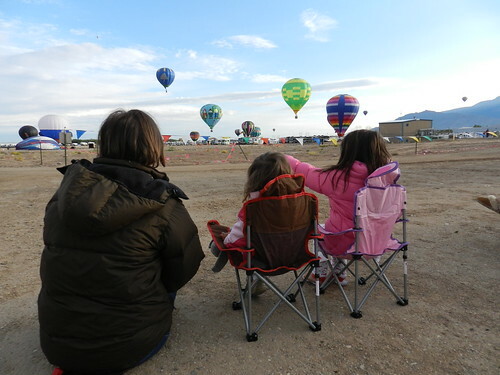 Mali Mish – Day 7: Farewell Albuquerque. Our last morning in Albuquerque consisted a lot of the usual packing up and storing away our gear in preparation to push away from the dock in late morning. 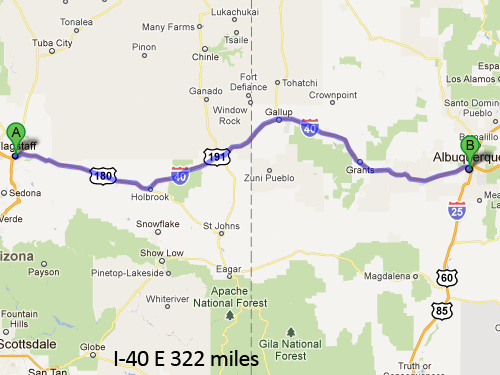 The plan is to head back west on I-40 towards Arizona. Possibly spending a few days in Flagstaff since we have not had a chance to explore northern Arizona in all of the travels. 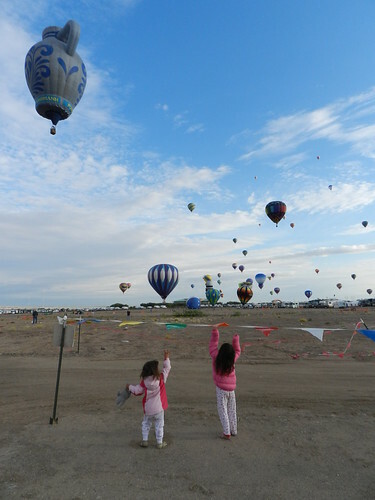 The girls wanted to enjoy the balloons painted over the beautiful southwestern skies and its fresh morning air. When it was time to go, they waved good bye and hoped that we will be back again soon. 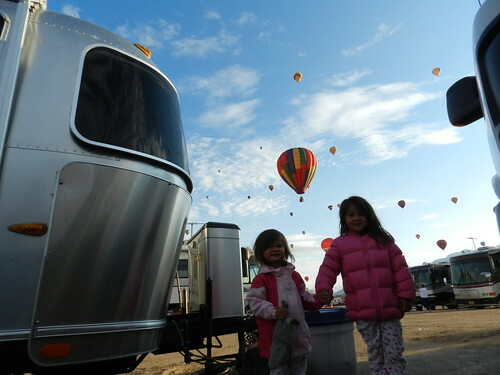 By now, more than half of the campground was empty. Our second day here was probably the busiest of the 3 nights we camped here. I’d have to say, not all of our experience was positive. 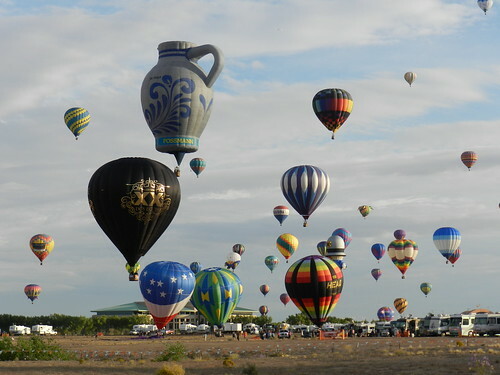 Of course the balloons were great and the event was well organized. 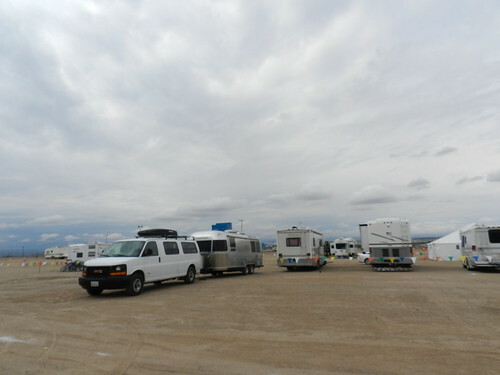 The biggest gripe we had though is how close each trailer was positioned and how inconsiderate some of the campers were with their generator noise and exhaust. Our two neighbors directly behind us decided that it was a good idea to smoke us out ’til well after quite hours with their carbon monoxide poison gas pointed right at our rear windows. 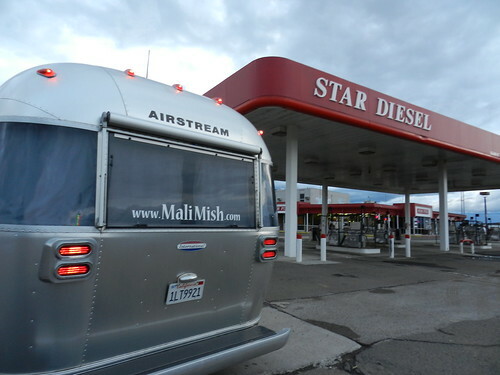 Speaking of stinky exhaust, we filled up on some cheap diesel at a deserted Star Diesel station at the half way stop Gallup before continuing to head down the road. This trip is the most expensive trip we have probably taken when it comes to diesel prices. In California, we paid anywhere from $4 to $4.30 a gallon. Here in the southwest, the best price we got was around $3.50 a gallon. Since we average around 12 miles-per-gallon, it does make a dent to the pocketbook. The stop in Gallup also was suppose to serve as a quick work stop for us to park for awhile in the Walmart parking lot and get some solid 3G connection to take care of some business. It didn’t quite work out that way. For some reason, the 3G was agonizingly slow. We resorted to the nearby McDonald’s with their free WiFi and indoor playground to serve as our mobile office and afternoon break. 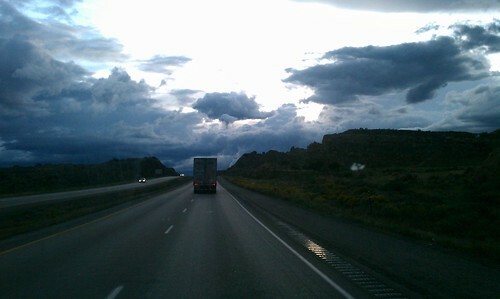 As we packed up once again and headed westward, the skies did not look very friendly. 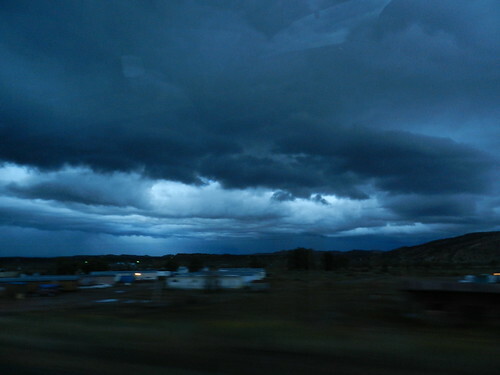 These menacing clouds covered the mid-afternoon sky so completely it looked more like dusk. 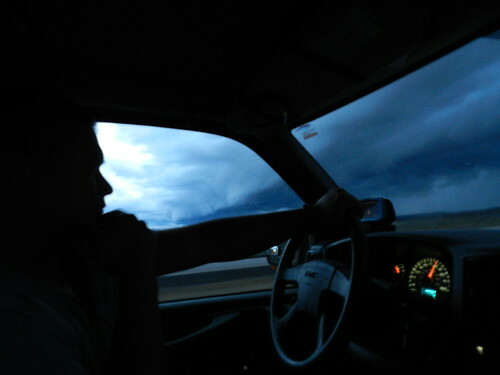 Part of being on a road trip, you agree to take whatever cards you are dealt. What is an adventure if you always know what to expect?